Noteworthy: Upward is the magazine of the ISS National Laboratory. 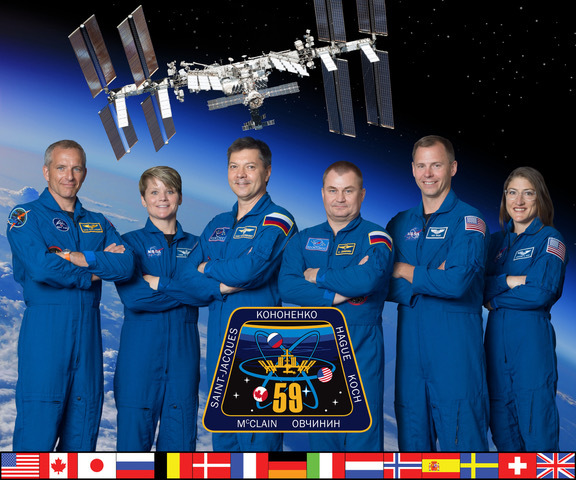 Noteworthy: an excellent overview of students engaged in SSEP, and student research aboard the International Space Station. Noteworthy: an overview of a live video-conference between astronauts aboard ISS and over 12,000 students participating in SSEP across 24 communities. Background: The National Center for Earth and Space Science Education, the Smithsonian National Air and Space Museum, NASA’s Teaching from Space office, and the U.S. Department of Education partnered for International Education Week 2012 on a special Student Spaceflight Experiments Program live video-conference with astronauts aboard the International Space Station (ISS). A total of 12,400 students, teachers, administrators, and guests across 24 SSEP communities were connected live to ISS and the Museum’s Moving Beyond Earth gallery via the Smithsonian’s Vidyo videoconferencing system. At the time of the event, 23 SSEP Mission 1 and 2 experiments were being conducted aboard ISS by Station Commander Sunita Williams. SSEP student microgravity researchers across the participating communities were able to ask questions of Commander Williams and Flight Engineer Kevin Ford. The video-conference was simulcast on NASA TV.